Tennessee Gov. Bill Haslam, a Republican who once championed the removal of a Confederate monument at the state Capitol, has done an about-face, ensuring symbols of racial inequality will stand tall in his cities. Haslam last week took sides in the bitter skirmish over the removal of Confederate monuments when he signed an amendment to the Heritage Protection Act. The implementation of that law not only bolsters protection of crucibles of racial tension but also completely strips oversight from municipalities. Heidi Beirich, who leads the Southern Poverty Law Center’s Intelligence Project, said the time frame in which many monuments were erected ― during opposition to Jim Crow-era policies of legalized segregation ― speaks to the intent behind them. Why doesn’t the SPLC endorse the removal of Touro Synagogue in Newport, Rhode Island? Touro Synagogue, the oldest synagogue in the US, was funded by Aaron Lopez, a jewish merchant that underwrote and owned numerous slave ships. Beirich, who says she is not Jewish, is content with targeting White Confederate history and descendants but obscures the Jewish role as slave merchant history. The amended act, which Haslam signed into law on May 21, gives absolute power over the monuments to the Tennessee Historical Commission. The group consists of 24 members appointed by the governor and five ex officio members. 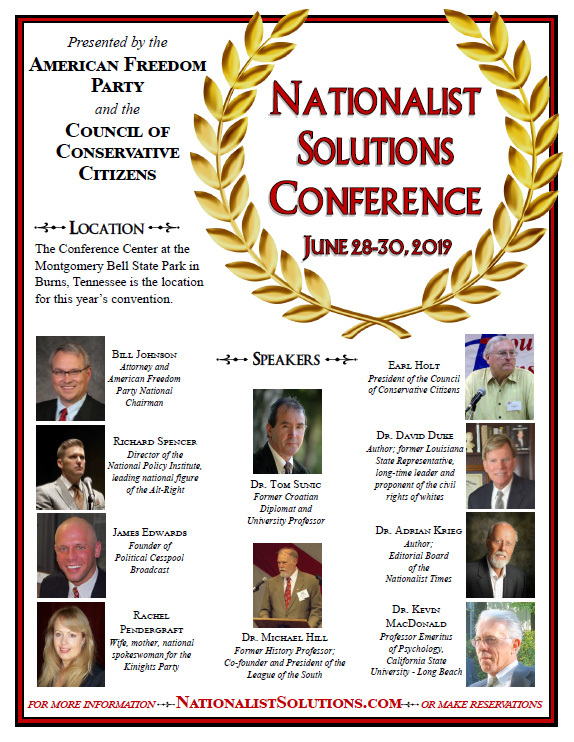 Among the commission are purported members of the Sons of Confederate Veterans, an organization that’s kept the Confederate legacy alive for more than a century. “Representatives and senators often recommend appointments, and they, in a very calculating move, stacked the deck with people who are empathizers with the Confederate monuments,” said Memphis pastor Keith Norman. He claimed to know of at least two people on the commission who belong to pro-Confederate organizations. Confederate flags are displayed at a “White Lives Matter” rally on Oct. 28 in Murfreesboro, Tennessee. Patrick McIntyre Jr., executive director of the Tennessee Historical Commission, acknowledges just one dual membership. “There is one member of whom I am aware who belongs to the Sons of Confederate Veterans: Judge David Tipton,” McIntyre told HuffPost. Ursula Madden, chief communications officer for the Memphis mayor’s office, said city officials discovered dual memberships in 2016 when they applied for a waiver to remove Confederate statues in the city. “We were aware that several Tennessee Historical Commission members are also members of the Sons of Confederate Veterans when we applied to the commission,” Madden wrote in an email to HuffPost. James G. Patterson, commander of the Tennessee Division of the Sons of Confederate Veterans, applauded Haslam’s decision. “I am very proud that Gov. Haslam signed the revised Heritage Preservation Act, which will prevent cities from making agenda-driven decisions,” Patterson told HuffPost. Requests to Haslam’s office for comment were not returned as of late Wednesday. It was ultimately the denial of Memphis’ application for a waiver that set the wheels in motion for the latest amendment to the Heritage Protection Act. The original act, which was passed in 2013 and amended once before in 2016, required only that municipalities obtain a waiver from the state commission before disturbing a monument. However, it failed to consider properties on which the monuments stand. Memphis legally circumvented the waiver requirement by transferring ownership of two city parks that memorials stood on. 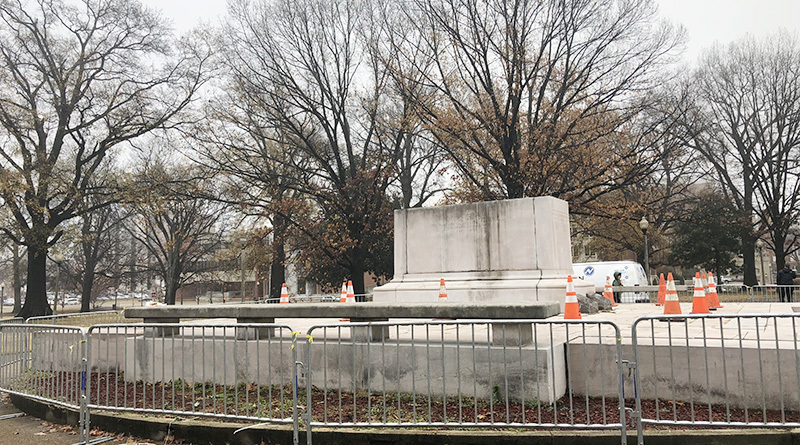 The nonprofit organization Memphis Greenspace purchased the properties and promptly removed the statues of Jefferson Davis, the president of the Confederate States, and Confederate Gen. Nathan Bedford Forrest, who was associated with the formation of the Ku Klux Klan. The move angered many of the state’s lawmakers, the majority of whom are white, including Republican state Rep. Steve McDaniel, who made it clear the majority-black and Democratic city of Memphis had to be punished. He took direct aim at the city by sponsoring a controversial amendment to a state appropriations bill. The amendment, which cut $250,000 in funds earmarked for the Memphis 2019 bicentennial celebration, passed in the House by a vote of 56-31. “Today is a demonstration that bad actions have bad consequences, and my only regret about this is it’s not in the tune of millions of dollars,” added GOP Rep. Andy Holt. The amendment Haslam signed not only closes the legal loophole Memphis found but also comes with the provision that municipalities cannot sell or transfer ownership of memorials without a waiver. Any one municipality that violates the law will become ineligible to receive grants administered by the Historical Commission and the state Department of Economic and Community Development for five years. Patterson said it’s “absurd to think or even suggest” that pro-Confederate heritage organizations should not be able to serve on the commission. “It would be dangerous to eliminate people from the commission because of organizations that they are affiliated with,” he said. There is not one slave alive today. Nor any slave owner! And why aren’t the slave merchants, Jews and other Africans, ever asked for reparations? The fight against communism is never ending. Wait until the Donald Trump statues go up.